SHANGHAI: As the daughter of the company's founder, Meng Wanzhou was known internally as the "princess" of telecoms giant Huawei and possible heir to the throne, but now finds herself a pawn in the US-China trade clash. Meng, Huawei's chief financial officer, was arrested in Canada at the request of the United States, which seeks to extradite her in a move that could blow tensions between the two powers wide open. Her arrest follows a US probe into the company's alleged violations of sanctions against Iran. The affair is a major setback for a woman who had been rising through the company founded by her father Ren Zhengfei, sparking speculation in recent years that she would some day assume full control. Doing so would make her one of the world's top female corporate bosses. Its officials have taken pains to stress that the company is a meritocracy, but there seems little doubt that family ties aided Meng's rise. Ren, 74, a former People's Liberation Army engineer, founded the company with a few thousand dollars in 1987, growing it into one of the world's leading suppliers of hardware for telecommunications networks. Meng has sought to stress her own "humble" beginnings, with Chinese media reporting that she once penned an internal memo claiming that her first tasks at the Shenzhen-based company involved secretarial work - answering phones and acting as a typist. But Meng, reported to be in her mid-40s, went on to earn a Chinese management degree and later joined Huawei's finance department. According to Chinese media, Meng kept her head down for years, to such an extent that few knew who her father was. This may have been aided by the fact that she took her mother's surname from a young age, for reasons that remain unclear. "He is a CEO at work, and a father at home," Meng once said of Ren, to emphasise that competence, not connections, determined one's path at Huawei. In interviews, she has referred to him as "President Ren", rather than "father". But Meng's career soon took off and she rose to top financial positions. Huawei credits her for re-organising the company's financial and IT architecture beginning in the early 2000s, so that the company could cope with its rapid global growth. Little is publicly known about the un-listed Huawei's internal operations, however, and Meng remained an obscure figure until 2011, when the company unveiled its top leadership for the first time with Meng listed as CFO. From there, she began to assume a higher-profile financial role. In contrast to the often colourless male executives who populate the upper ranks of China Inc., Meng is known for an easy smile and good English, and appears to have taken not one but two English names - "Cathy" and "Sabrina". 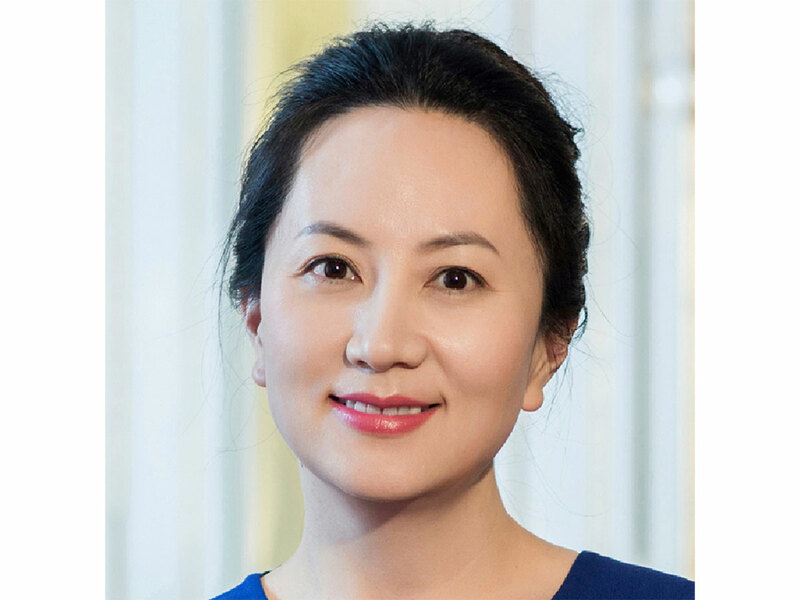 Despite being dubbed the "Princess of Huawei", she is said to be respected among company rank and file as approachable and self-deprecating. She also appears to have eschewed the socialite lifestyle of her much-younger half-sister, Annabel Yao, a ballerina studying at Harvard University. Speculation that Meng was being groomed for Huawei's pinnacle has increased in recent years. In 2013, it was rumoured that Ren's son, Ren Ping, was the patriarch's favoured successor, which Ren Sr. took pains to deny in an internal email that was later leaked. But Ren Ping is not currently listed on the company's board and mention of him in Chinese media has been rare in recent years. It remains unclear whether Meng is married, but Chinese media previously have reported that she has two children. Equally unclear, now, is Meng's future. Even if a deal is reached to release her, it remains a question whether Huawei - or Chinese authorities - would permit the continued rise of an executive who will now always be linked to US accusations of company wrongdoing and a symbol of bilateral trade tension.